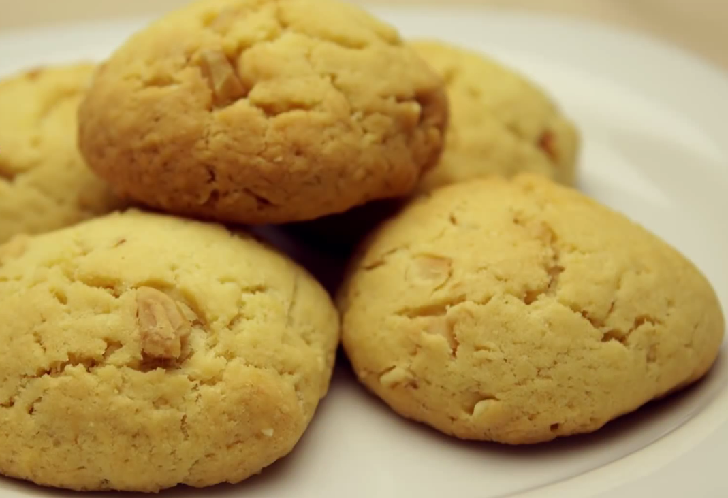 These cookies are absolutely delicious made with regular butter. Form dough into a 12-inch long (2 inches in diameter) on a sheet of plastic wrap and roll up dough in plastic wrap. Chill dough on a baking sheet until firm, at least 4 hours. Cut enough ¹/₈- to ¹/₄-inch-thick slices from log with a heavy knife to fill 2 ungreased large baking sheets, arranging slices about 1 inch apart (chill remainder of log, wrapped in plastic wrap). Bake cookies, switching position of sheets halfway through baking until edges are golden, 12 to 15 minutes total. Cool on sheets 3 minutes, then transfers with a metal spatula to racks to cool completely. Make more cookies with remaining dough on cooled baking sheets.